​The AT district honors one registered scouter in each unit who is known to keep the "spark" of excitement and fun! Nominees must be registered scouters and should be selected by the YOUTH in the unit. Each unit may submit one selection per calendar year. Recipients are honored at the district banquet in December. Nominations are submitted using the web form below. ​The AT district honors one registered scouter in each unit that marks the path for the youth of our community. Nominees must be registered scouters and should be a person that has given unselfishly and freely of his/her time and talents for the good of your Scouting Unit. Each unit may submit one selection per calendar year. Recipients will be recognized at the district banquet December. ​The District Award of Merit is a council award presented by districts for Scouters who render service of an outstanding nature and demonstrate outstanding cooperation at the district level. Any registered Scouter may nominate another Scouter for this award. 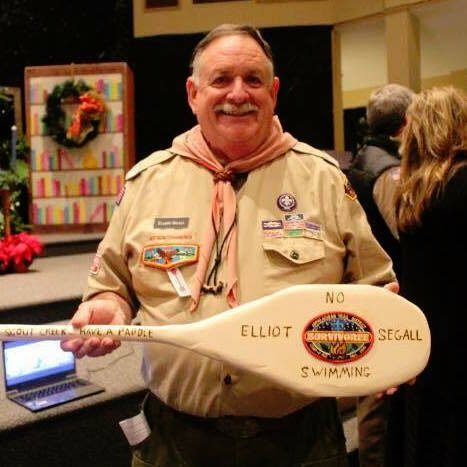 It is not appropriate to nominate a Scouter who has already received the award. ​Recipient will be announced at the district banquet in December. The Silver Beaver Award is the highest award that a council has to recognize the efforts of a volunteer leader. The district leadership is not involved in the selection of Silver Beaver Award nominees for the award; this is done by a committee at the Atlanta Area Council. However, anyone can nominate any registered scout leader for this award. The list of previous recipients is below. Many of these recipients are still very active in Scouting and you bump into them at round table or other events regularly. There are training awards for scout leaders which are available for them to earn. You should be working within your unit, no matter your job, to ensure that every leader is aware of how to earn these awards, that the forms are submitted to the District volunteers, and that the awards come back from Council in a timely fashion. There's paperwork and signatures involved. These usually take a few months to turn-around, so plan accordingly. The Den Leader Training Award is for the den leader of each den to earn. Assistant den leaders may not receive this award. The requirements for it are on this form. The den leader must serve a full school year registered with BSA as an official den leader in order to qualify. The Scout Shop also has a medal to go with the little knot patch you will receive from them, but you should call ahead to make sure they have them on hand before you make the trip. The Scouters Training Award is available for any scouting volunteer to earn for two years of service in a position as an assistant den leader, assistant scoutmaster, cubmaster, committee member, or in any other job. Here is the form for Cub Scout leaders. The Scouter's Key. This award is available to certain scout volunteers doing particular jobs for 3 years of service and completing certain requirements. This is a self-nominated award just like the two above. You fill out the form, get the signatures, and turn it in. Unit Leader Award of Merit. This award is specifically for the Scoutmaster, Cubmaster, Venturing Advisor, or Varsity Team Coach of each unit. It is awarded after 18 months of service plus having completed certain requirements. The form to fill out is here. After completing the form, get it to us to work with council to get the award back. You will receive a certificate and the knot patch. There are also position of responsibility patches available with a star on them to give to leaders, but these must be purchased separately. The unit leader award of merit used to be the Scoutmaster Award of Merit, but has been expanded in recent years to become available for all unit leaders. Originally, the award was a white knot. It was conceived of originally as an award to give to a Scoutmaster at the 18 month mark to celebrate his service to the unit. It was called the "Why Knot?" Award, and the white knot was chosen to as a homonym. Eventually it became an official award given to scoutmasters. This explains the white cord in the Scoutmaster's Key. The white knot was earned at 18 months, the green Scouter's Training Award at two years, and then at three years the Scoutmaster was eligible for the Scoutmaster's Key. Thus, the final award combines the first two. Most leaders stack them up on their shirts rather than replacing the previous award with the next one. Scouting is filled with some great traditions. One of those traditions is to hand-craft an award and present it to a leader you feel is worthy. You might admire them for their day to day contribution. Perhaps they have completed some large and important task or accomplishment. Maybe you feel they are of outstanding character. Or perhaps you just want to give them a souvenir of something that happened at a scout event which was memorable. 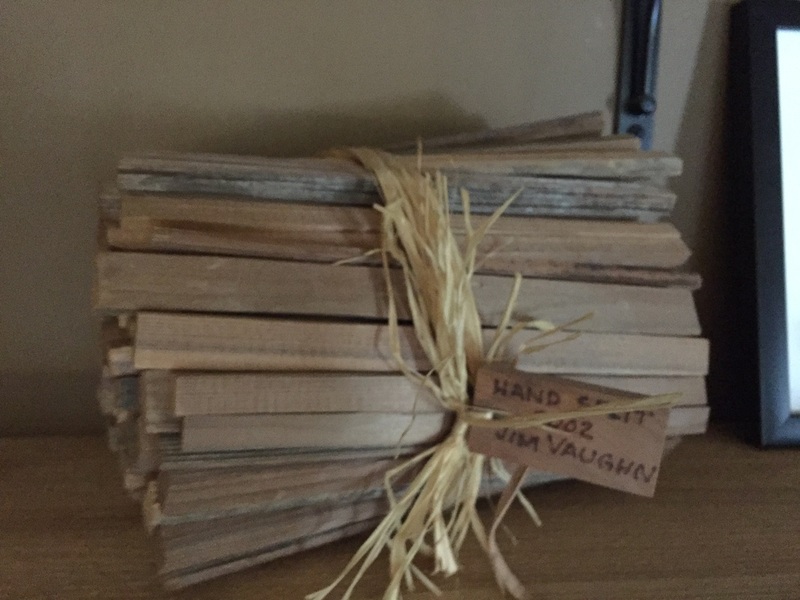 These are all great reasons to hand-craft an award. There are no requirements on hand-crafted souvenirs. You can make all you and and give them out to anyone you want. There is no paperwork to fill out, and the leader gets a cool trophy for their shelf. 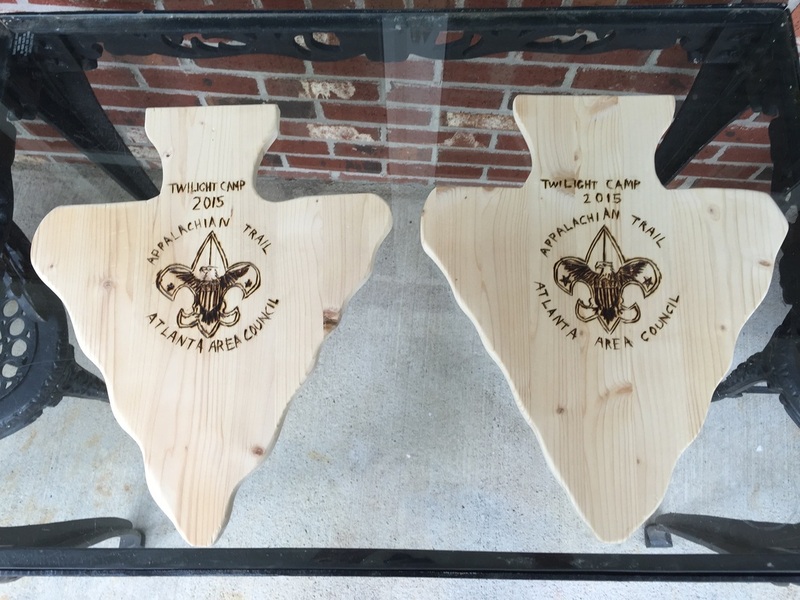 You don't need to be a master craftsman or artist to make great home-made awards for your favorite scout leaders. All it takes is time and a desire to make someone else happy. 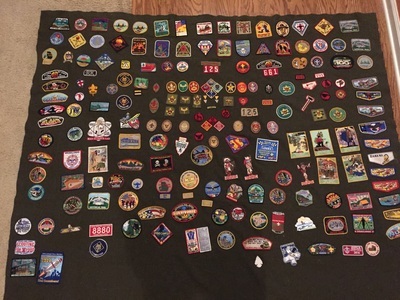 Scout leaders often end up collecting souvenir patches from the events that they work. Have a special patch made for the staff who work your events you manage. 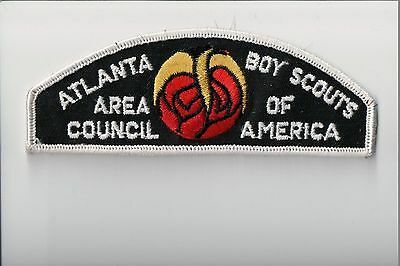 Or, you can seek out and find rare or old style patches from yesterday for scout volunteers to enjoy and add to their collection. They will remember that they received the patch from you and tell others why you gave it to them. 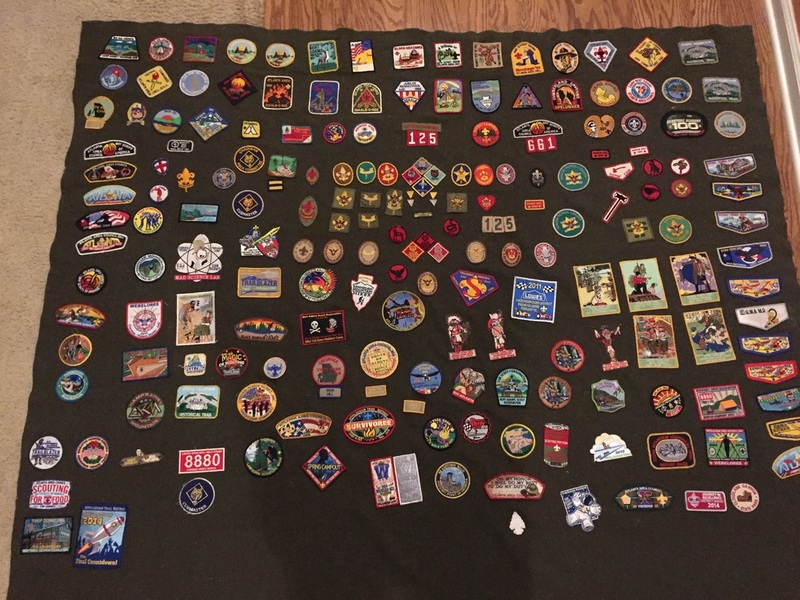 Patches are memories. The recipients of this award are selected by the District Award of Merit (DAM) Committee, which serves as part of the District Committee. To receive this award you must be nominated by others. You cannot nominate yourself. To nominate someone for the award, fill out this form. Recipients of the award will be recognized at the district banquet in December of that same year. Anyone can nominate a Scouter for this award. Our district gets to have 1 recipient for every 25 units or fraction thereof. We usually have 3 people receive this award each year. Nominations must be submitted by November 5. While nominations from the previous year do carry over, we encourage you to submit a new nomination each year to ensure that the committee has a complete picture of the nominee's service. A nominee must have rendered noteworthy service to youth in Scouting, outside Scouting, or both. ​Note: The nature and value of “noteworthy service to youth” may consist of a single plan or decisions that contributed vitally to the lives of large numbers of youth or it may have been given to a small group over an extended period of time. Nominations cannot be considered for posthumous awards. Who should I nominate? Any scouting volunteer. There is no requirement the nominee be a district or council volunteer, only that they provide noteworthy service. In 2014, there were two district banquets. It was moved back from January to December, resulting in awards being presented 11 months apart. A complete list of all Scouter award knots is available here. Our district has many volunteers who were cub scouts and earned the Arrow of light, their religious emblem, the Eagle Scout Award, lifesaving awards, and other awards.